Microsoft founder Bill Gates said Monday he’s giving $100 million to fight Alzheimer’s disease — $50 million out of his own pocket now, and $50 million later for start-up efforts. Gates said he has a family history of Alzheimer’s, the most common form of dementia, and he also said the condition can wreck the U.S. health care system as more and more people get it. But mostly, it’s because decades of research and billions of dollars of work have failed to produce a cure for the disease, or even to answer basic questions about how and why it develops in the first place. “This is something I know a lot about, because men in my family have suffered from Alzheimer’s,” Gates wrote in his blog. 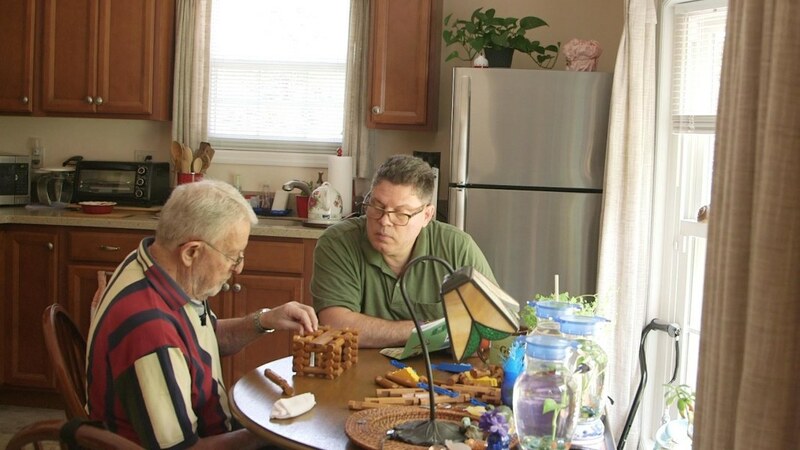 More than 5 million Americans have Alzheimer’s, and this number is expected to grow as the population ages. It’s not just devastating to families. It’s expensive, too. “I first became interested in Alzheimer’s because of its costs — both emotional and economic — to families and health care systems,” Gates wrote. “Those who have dementia spend five times more annually on out-of-pocket health expenses than those who don’t have Alzheimer’s, and the disease accounts for direct American health care costs of $259 billion in 2017, with projected growth to $1.1 trillion in 2050,” the Alzheimer’s Association said in a statement. There’s no cure, and treatments do not work well. Drugs such as Aricept, known also as donezepil, can reduce symptoms for a time but they do not slow the worsening of the disease. Drug after drug has failed when tested in patients. Several compounds can reduce the brain-clogging plaques that are a hallmark of Alzheimer’s but they have not shown conclusively that they ease symptoms or prevent disease. Such drugs are also years away from getting on the market. The National Institutes of Health spent $929 million on Alzheimer’s research in 2016 and had $1.4 billion budgeted for the 2017 fiscal year that just ended. The NIH has $837 million in the 2018 fiscal budget. “Since 1982, the Alzheimer’s Association has invested over $405 million in more than 2,600 scientific investigations,” the Alzheimer’s Association added. Commercial drug companies have invested billions more. 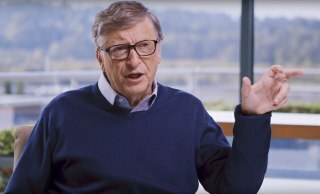 So what can Gates bring to the table with $100 million? Star power, for one thing, said George Vradenburg, co-founder of the advocacy group UsAgainstAlzheimer’s. “The battle to find a cure for Alzheimer’s today lacks funding, urgency, collaboration and entrepreneurial approaches,” Vradenburg said in a statement. “The announcement that Bill Gates is joining this fight has the potential to significantly change that paradigm,” Vradenburg said. And Gates says he can kickstart new approaches. Drug companies have invested heavily in the effects of two Alzheimer’s-related proteins called amyloid and tau. “I hope those approaches succeed, but we need to back scientists with different, less mainstream ideas in case they don’t,” Gates wrote. The first $50 million will go to a private fund that invests in startup companies, Gates said. “As a first step, I’ve invested $50 million in the Dementia Discovery Fund — a private fund working to diversify the clinical pipeline and identify new targets for treatment,” he said. “With all of the new tools and theories in development, I believe we are at a turning point in Alzheimer’s R&D,” Gates said, referring to research and development.